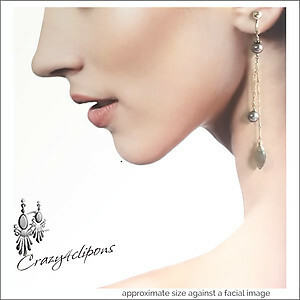 Features: These earrings are elegance in motion. 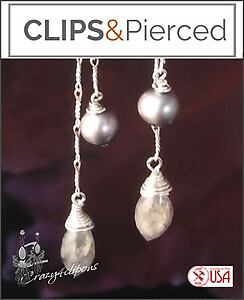 Beautiful faceted rice Labradorite beads are hand wrapped in sterling silver wire to delicate sterling silver chain. The entire look is complimented with gray fresh water pearls, antiqued sterling silver Bali beads and bright seeds. Note: Long style!